The altitude is 619m at the delta and 1,292 at Rabongo Hill. The mean temperature is 29 0C-high and 21 0C-low. Uganda safari Wildlife records reveal 76 mammal species like elephant, lions, buffalo, giraffe, hippo and crocodile populations and a variety of antelope and 450 bird species exposing a dazzling variety of water birds including the world’s most accessible wild population of the rare shoebill stork along the Nile delta on a launch cruise. Briefing on the safari. 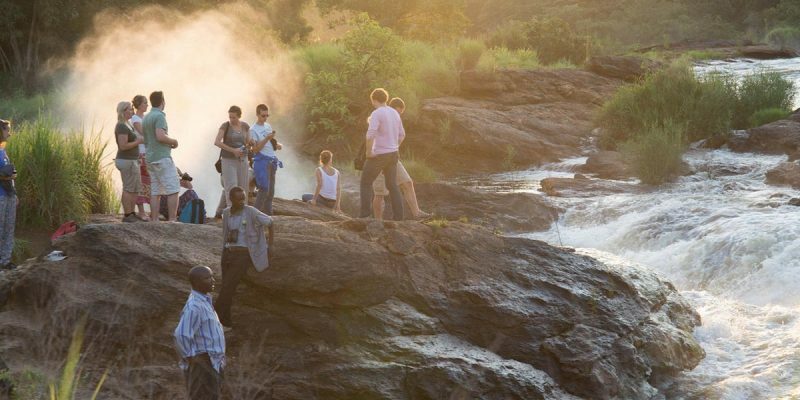 Start for Murchison Falls safari with a chance to visit Ziwa Rhino Sanctuary. all on full board basis) Up-market: Paraa Safari Lodge or Nile Safari Lodge. Check out ,breakfast and thereafter embark our safari vehicle, and visit at the Nile, the longest river in the world, is forced through a narrow gap in the rock (only 7 meters wide), before ferociously plunging down 43 meters. a stopover at Masindi hotel for lunch transfer back to Kampala with lunch en-route, after continue to your hotel in kampala or to the Entebbe international airport for your return flight back home.